Molland Moor is a Site of Special Scientific Interest and is currently the focus of an ongoing trial which English Nature and The Heather Trust are involved in. Rebecca Jordan reports. Richard (left) and Steve Langdon run 250 cows from Luckworthy Farm. 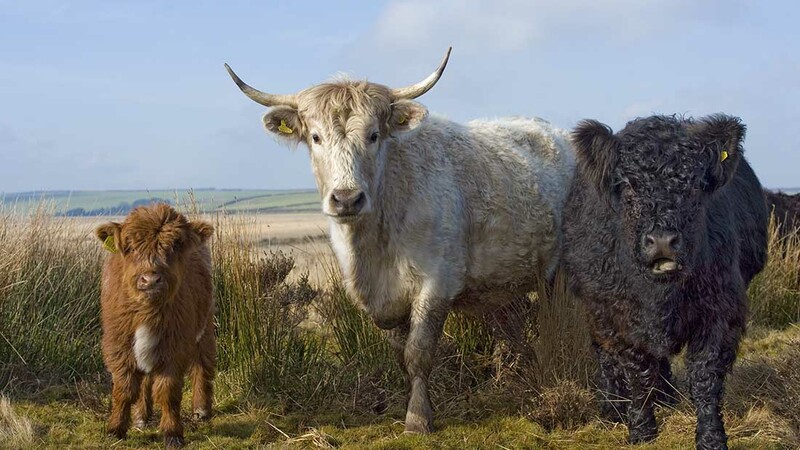 Working with the Throckmorton family, which owns Molland Estate, and the Langdon family, its tenants at Luckworthy Farm and sole graziers on the moor, the trial is aiming to ensure specific vegetation flourishes and wildlife particular to Exmoor’s landscape survives. 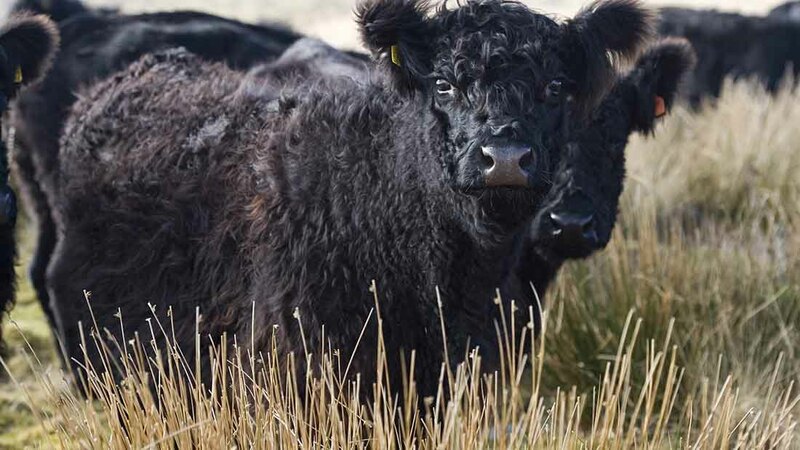 Under a derogation set up by English Nature, Steve Langdon and his 21-year-old son Richard were given the go-ahead four years ago to out-winter cows and calves on the 681-hectare (1,680-acre) moor. 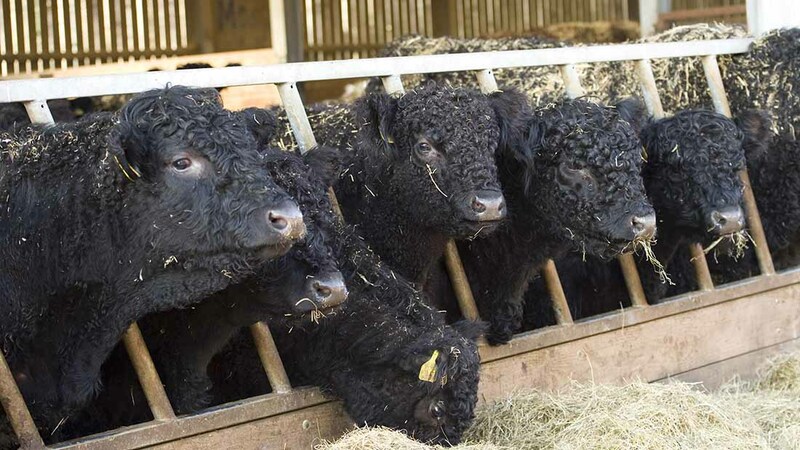 As a result, this is the only herd which has permission to keep cattle out on Exmoor during winter months. However, many hill farmers – both on Exmoor and Dartmoor – are hoping the success of this trial will set a precedent and allow them to out-winter stock which, in turn, will reduce costs and control growth of undesirable vegetation with its incumbent tick burden. Sixty Galloways are managed in three hefts at 370 metres (1,213ft) throughout winter. They are fed daily in specific areas which English Nature and The Heather Trust have identified. The objective is to hold cattle where the molinia grass is most dense and hence give heather the opportunity to re-establish itself. Steve says: “It is working. It is obvious heather is returning where the other growth has been managed successfully. Everybody is very excited by the results. These cows are non-selective grazers, so are doing a great job of tackling the molinia which is, quite frankly, out of control. You can see where they have eaten it away. Underneath, the heather – which was suffocated by the thick grass – is now holding its own. The Langdons run 250 cows from Luckworthy Farm which has 142ha (350 acres) of in-bye land, with a farmyard at 250m (820ft). There are 100 pedigree Galloways, with the rest of the Galloways crossed with a Shorthorn. This hill farm has rights for 700 sheep and 100 cattle to graze the moor from May to the end of October, so all except the 60 cows used in the out-wintering trial are housed over winter. In winter, the 60 on the moor each receive 2kg/day of a 19 per cent protein ewe cob. This is fed via a snacker and favoured due to a high soya content, which the Langdons believe help maintain the cows’ condition. They receive a mineral bolus twice-a-year. A 1.62ha (four-acre) plantation on the edge of the moor was also used as a site for feeding round bale haylage, but due to lack of interest from the cows is no longer used. With 101ha (250 acres) cut to round bale haylage in the middle of July, autumn calving is favoured here. Many of the out-wintered cows, therefore, have a calf at foot. Those indoors have a creep system separate from the cows which is also shared with older steers. They receive haylage and 16 per cent protein concentrate offered ad lib at a rate of 4kg barley:1kg nuts. This equates to a cost of £500/beast over winter. The Langdons have been keen to improve their stock. Their six-year-old bull, Kirkstead Ultravox, is currently out-wintered with the cows. It was supplemented this spring with the 5,000gns Troloss Juggernaut, male champion at the breed society’s February sale at Castle Douglas, and the 2,000gns Troloss Jester, both Blackcraig Rasputin sons. This past year Richard has marketed 40 steers. It was not initially a successful enterprise. The family is still keen to try and promote Galloway beef in the area to secure a market for this quality product. Barley intake was reduced and a 34 per cent protein finishing nut was brought in which was offered to the younger steers. Now, there are just three steers left to finish, with the rest having gone via Martin Baker to either Dunbia or ABP, when 20 months old at 550kg liveweight to kill-out at 300kg deadweight and grade as Rs with some U3s. Richard also took one to South Molton fatstock show. This 21-month-old 570kg beast was third in the native class and sold to local butcher John May at 209p/kg. In the meantime, however, the Langdons will be running just their best cows with the Galloway bulls and putting more of the rest to a Shorthorn in an effort to try and improve shape in the resulting calves. Tick management is essential if stock is to graze the moor. 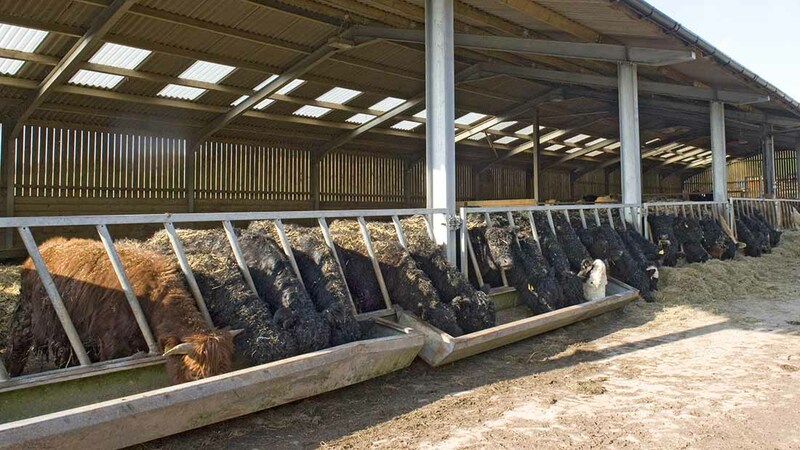 In an attempt to help the Langdons with the out-wintering trial, Exmoor National Park has sponsored preventative treatments for both sheep and cattle. The latter are no longer vaccinated for redwater (a disease transmitted by ticks) but treated with a fly repellent. “Sheep are also integral to the success of restoring this landscape,” says Steve. “Different animals and breeds graze vegetation in different manners. This is essential if the range of species is to be re-established. While gorse is cut, swaling is a vital management technique for controlling heather, molinia and ticks. “Like many moorland areas, Molland is part of the Higher Level Stewardship [HLS] Scheme. The practices implemented to manage these environments are structured around hill ground in the north of England. Unfortunately, moorland in the South West is unique as its growing season is longer and vegetation such as gorse and molinia has been allowed to encroach on the landscape because cattle have to be removed in HLS. Next: Should you run a livery yard?